How did we bring community attention to a seasonal specialty product release? 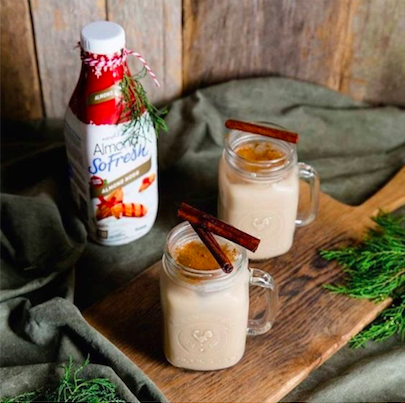 Jive's client Earth's Own, British Columbia-based makers of a collection of nationally-distributed plant-based beverages, annually produces SoFresh Almond Nogg, a festive dairy-free product for the holiday season. While the product makes up a small portion of their overall product distribution on an annual volumetric basis, it is well-loved amongst the plant-based community and a seasonal opportunity to reinforce brand identity in the coveted refrigerated section at retail. With a relatively small budget, Jive nimbly focused effort on asset development, social media advertising and unpaid sponsored drops to key ambassadors with the goal of increasing visibility of product identity and availability to existing and emerging communities identified as product category fans or those likely to consider trial. We worked with one of our favourite top-notch photography teams to develop branded visual content to leverage across social channels and in a targeted seasonal 6-week social media advertising campaign. To catch the attention of key social ambassadors, Jive took inspiration from a seasonal staple - rum & eggnog - and crafted a beautifully unique product drop around the concept. Drops were festively illuminated and included product as well as all the elements needed to craft a modern update to the classic favourite. Resulting pickup from social ambassadors was organic and unpaid, and resulted in extending the reach of seasonal product messaging. The result was a quick campaign that produced a high level of organic and paid engagement, a boost in positive brand sentiment across social media, and an increased awareness of the brand as a Canadian favourite with multiple offerings. 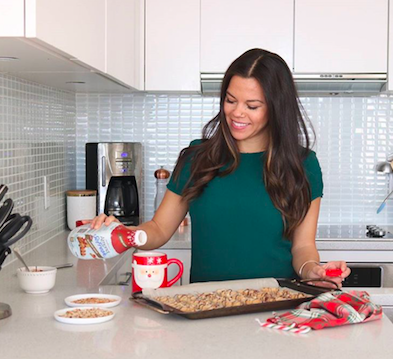 Check out our work on the brand's Instagram channel as well, which is a great source for inspiring plant-based recipes and lifestyle tips!